Without biological solvents, we are dead and with them we live healthier lives. Our lives depend on water so much because life itself cannot exist without being dissolved in a solvent. Water, which dissolves more substances than any other liquid, is considered the universal solvent. Water as a solvent is the medium for all living organisms. All cells contain a minimum of 85% of water, with most fluids inside and outside of the cell likely to have at least 90% water. Both transportation of molecules and chemical reactions take place in dissolved water. 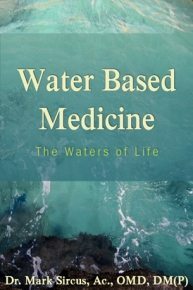 The idea that water is a medicine is not new. In chemical terms, the water molecule is strongly dipolar, this property makes water a very effective solvent, particularly for crystalline salts. So, water is the solvent of the body & it regulates all functions, including the activity of everything it dissolves & circulates. The cost of too little solvent, too little water (dehydration) is profound in terms of the health and harmony of our bodies and emotions because everything is effected, including ATP production, when we let our solvent level (water) get deficient. DMSO (dimethyl sulfoxide) is famous (for being a solvent) for its ability to pass through membranes, an ability that has been verified by numerous subsequent researchers. DMSO’s ability to do this varies proportionally with its strength–up to a 90 percent solution. From 70 percent to 90 percent has been found to be the most effective strength across the skin, and, oddly, performance drops with concentrations higher than 90 percent. DMSO is an effective painkiller. It blocks nerve conduction fibers that produce pain. DMSO reduces inflammation and swelling by reducing inflammatory chemicals. It improves blood supply to an area of injury by dilating blood vessels and increasing delivery of oxygen and by reducing blood platelet stickiness. It stimulates healing, which is a key to its usefulness in any condition. It is among the most potent free radical scavengers known to man, if not the most potent one. DMSO is an organic sulfur compound that was originally used only as an industrial solvent, that is, until its medical properties were discovered in 1963 by a research team headed by Stanley W. Jacob, MD. DMSO is a byproduct of kraft pulping (the “sulfate process”), which converts wood into wood pulp consisting of almost pure cellulose fibers. DMSO reduces inflammation by several mechanisms. It is an antioxidant, a scavenger of the free radicals that gather at the site of injuries. DMSO is useful as a pain reliever, in burns, acne, arthritis, mental retardation, strokes, amyloidosis, head injury, scleroderma; it soothes toothaches, eases headaches, hemorrhoids, muscle strains; it prevents paralysis from spinal chord injuries; it softens scar tissues. DMSO is an intermediate product of the global sulfur cycle, which distributes bioavailable sulfur for all animal and plant life (Parcell, 2002). Sulfur compounds are found in all body cells and are indispensable for life; they are needed for a number of chemical reactions involved in the detoxification of drugs and other harmful toxins, and they have potential clinical applications in the treatment of a number of conditions such as depression, fibromyalgia, arthritis, interstitial cystitis, athletic injuries, congestive heart failure, diabetes, cancer, and AIDS (Parcell, 2002). The name “terpene” is derived from the word “turpentine”. In addition to their roles as end-products in many organisms, terpenes are major biosynthetic building blocks within nearly every living creature. Terpenes are natural products derived from plants that have medicinal properties and biological activity. Terpenes may be found in cleaning products, rubefacients, aromatherapy, and various topical preparations. Terpenes exist as hydrocarbons or have oxygen-containing compounds such as ketone or aldehyde groups (terpenoids). The best-known compounds in this group are camphor oil and turpentine. The best medicinal mushrooms are also full of terpenes and so is marijuana. Terpenes make powerful medicines because they are local irritants and, thus, are capable of causing effects that might range from an altered mental status to seizures and coma if enough is consumed. Being natural compounds makes them no less capable then their unnatural pharmaceutical cousins. Terpenes have the ability to dissolve oils and other lipids; they are so effective that they are even capable of stripping paint, produce analgesic effects in laboratory testing on rats; myrcene and limonene, along with the terpenoid citral (found in many citrus fruits, lemon myrtle, lemongrass and lemon verbena) have also been found to exert sedative and motor relaxant effects in mice. Limonene, is a terpene commonly found in the cannabis strains, is also present in juniper and peppermint, and has anti-fungal, anti-bacterial and anti-depressant effects. Moreover, it is suggested that this compound exerts anti-carcinogen properties, and is known to increase blood pressure. Terpenes are common constituents of flavorings and fragrances. Terpenes are responsible for the aroma of cannabis. 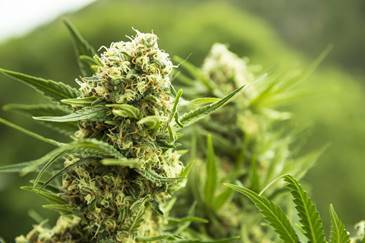 Cannabis at its turn contains a wide range of terpenes (over 200) that are thought to interact synergistically with the cannabinoids in the plant, and to enhance its health effects. The FDA and other agencies have generally recognized terpenes as “safe.” Terpenes act on receptors and neurotransmitters; they are prone to combine with or dissolve in lipids or fats; they act as serotonin uptake inhibitors (similar to antidepressants like Prozac); they enhance norepinephrine activity (similar to tricyclic antidepressants like Elavil); they increase dopamine activity; and they augment GABA (the “downer” neurotransmitter that counters glutamate, the “upper”). Per the 2009 Annual Report of the American Association of Poison Control National Poison Data System, 3362 single exposures to disinfectants containing pine oil, 10,714 single exposures to camphor, and 422 single exposures to turpentine were reported. Exposure to pine oil resulted in 2 deaths, and exposure to turpentine resulted in 1 death. In the same year exposure to something as safe as aspirin (all forms) caused 20,00 deaths. WebMD says, “Turpentine oil is made from the resin of certain pine trees. It is used as medicine. Turpentine oil is applied to the skin for joint pain, muscle pain, nerve pain, and toothaches. People sometimes breathe in (inhale) the vapors of turpentine oil to reduce the chest congestion that goes along with some lung diseases. In foods and beverages, distilled turpentine oil is used as a flavoring. For those looking for an ultra-low cost solution to part of what Lingzhi mushrooms can do know that turpentine has what we would expect from terpenes. Turpentine and petroleum distillates similar to kerosene have been used medicinally since ancient times and are still being used as folk remedies up to the present. They were used in ancient Babylon to treat stomach problems, inflammations and ulcers. It appears that the success of turpentine is due to its detrimental effect on these fungi and CWD microbes, which then allows the immune system to eliminate remaining pockets of other pathogens and abnormal cells in tumors and affected organs. Natural turpentine, commonly sold as “pure gum turpentine”, was commonly used in lower doses and less frequently than kerosene. It was especially treasured for its antiseptic and diuretic properties and as a treatment for intestinal parasites. According to Wikipedia: “Turpentine was a common medicine among seamen during the Age of Discovery, and one of several products carried aboard Ferdinand Magellan’s fleet in his first circumnavigation of the globe.” To expel tapeworms, a powerful dose of one to two tablespoons of turpentine was given, usually mixed with the same amount of castor oil and taken floating on milk. Look at the forest or bushland trees. Some of their greatest enemies are fungi and parasites. As a defense, they developed various chemical strategies to kill or repel these attackers. We know and use these biochemicals as eucalyptus oil, neem oil, tea tree oil, pau d’arco extract, olive leaf extract, turpentine and other essential oils. Most of these oils are composed of hydrocarbons, just like kerosene. The main chemical in turpentine, alpha-pinene, is also present in the oils of rosemary and eucalyptus.—These volatile essential oils seem to have a stronger antifungal effect than kerosene, but frequent intake in high amounts can also cause some kidney damage. Natural turpentine is commonly sold as “pure gum turpentine” or “100% gum turpentine”. 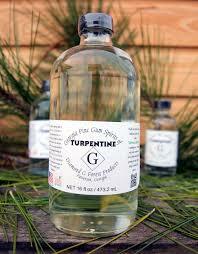 Turpentine is an essential oil, a mixture of pinenes, camphenes and other turpenes, derived from pine trees. It should not be confused with turpentine substitute (White spirit). The ONLY acceptable Turpentine is “100% pure gum spirits of turpentine”. Any other turpentine/paint thinner is petroleum based and NOT to be used. Turpentine is used as a solvent or thinner for artist’s paint and as a general solvent. Use it to dissolve everything inside of you that does not belong especially fungus. Clean yourself out, but with mushrooms do it in a healthier way appropriate for daily use over the long haul. Turpentine has been discussed often at Earth Clinic as a natural and highly effective remedy for parasites. Long ago farmers and even school nurses gave turpentine as a matter of course to children twice a year to eliminate parasites like pinworms. The easiest way to do this is to put a few drops of turpentine on a sugar cube. This tastes like pine candy and is simple for children and adults alike to take. It is important to doctors and patients alike to understand and appreciate the importance of using medical solvents in the treatment of disease. It is equally important to see that preventive medicine begins with solvents too. Fully hydrated living is different than having chronic deficiency in water. Disease can be seen, in part, as simply the house getting all gummed up. Things get too sticky and calcified as well as heavily toxic with chemicals, heavy metals and sometimes with radiation contamination. 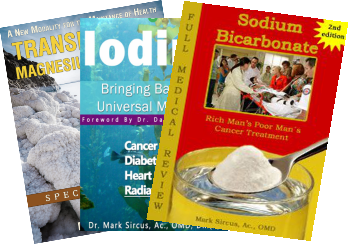 Adding sodium bicarbonate to one’s water increases its solvent abilities because it changes the pH. However, sometimes all the best water in the world is not enough and we need to bring in heavy duty solvents like DMSO and turpentine. One of the basic reasons consuming Lingzhi mushrooms extend life because they are constantly providing the terpenes to help the body find, decompose and flush out subpar cellular matter throughout the body, which then allows the surrounding organ and blood system to function at a higher level. Personal Note: Though it took me a year to find the courage to experiment with myself using turpentine I found it quite delightful and easy to take. First time around used an overflowing teaspoon every day for about two weeks using the sugar, which I constantly decreased. Now am on my second round and just skip the sugar and take almost a tablespoon each morning. Easy on the stomach and certainly helps a person get into a healthy mode of thinking and practice.